Every Product from Audiomodern. Endless Inspiration. 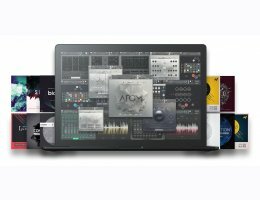 This special bundle contains All top rated Audiomodern Libraries, Packs, Modules & Instruments. A truly versatile sound collection which features all of our creative and inspiring Libraries, Packs, Modules and Instruments. Perfect for cinematic sound design and ambient experimental production.